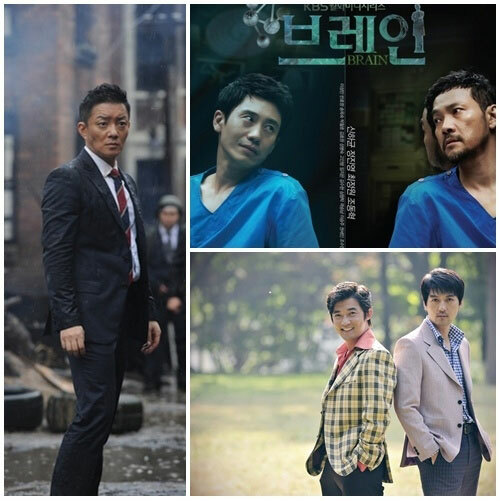 In the battle of Monday and Tuesday drama series, MBC’s Lights and Shadows is in hot pursuit of KBS 2TV’s Brain, almost forcing to the number one position of ratings ranking. According to AGB Nielson Media Research agency, the national audience rating for Lights and Shadows broadcast on January 10th, 2012 is 14.7%, an increase of 1% over the previous episode’s 13.7%. The rating is very close to the 16.2% rating of Brain which has always maintained the top spot in ratings’ ranking, with difference of only 1.5%. In Lights and Shadows, the conflict between characters heightened recently, and the love lines are also heating up, giving significant room for the growth of drama’s ratings. In addition, SBS’s Salaryman‘s rating dropped 0.4% to 10.1%.